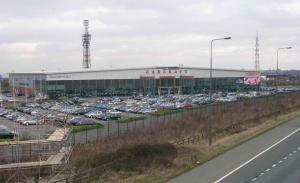 Car supermarket Carcraft, which has branches in Leeds and Sheffield, has gone into administration and prompted the loss of more than 500 jobs. Staff at the giant auto dealer were informed of the firm's immediate closure after a last minute deal to save the car dealer fell through. While motor trade insurance will not guarantee success for a car dealership or garage, it can provide valuable financial protection that can prevent a business from falling under. Namely, it provides cover against theft or damage to vehicles, equipment and spare parts stored on site, not to mention the physical premises themselves. The firm, which has previously sold more than 12,000 vehicles a year, has been up for sale since February but as of yet no buyer has been found. The company's administrators Grant Thornton also revealed that the company had been making large losses of around £8 million each year for a number of years, despite being the UK's seventh largest second hand car dealer. Commenting on the announcement, Daniel Smith, a partner at Grant Thornton said: “With great regret a conclusion was reached that it is no longer viable to keep Carcraft in operation." "In order to prevent further losses it has been agreed with management and creditors to cease operations with immediate effect," he added.